Over the past three decades, Neotech has emerged as an essential brand in NICUs around the world. We’ve also widened our footprint to include medical devices for the PICU, children’s oncology, and home health markets. Our groundbreaking products benefit both patients and clinicians as we focus on Making a Difference… In the NICU and Beyond. We’re proud to say that Neotech products are made in the United States. We believe that manufacturing our products in the country is good for the economy and benefits customers and patients alike. Our team works hard to build lasting relationships with domestic vendors, which contributes to our high-quality standards. We’re also proud to have contributed to their growth in return. We’ve helped our vendors employ more people and contribute to their local economy. We understand the quality of products used in such a sensitive environment is of the utmost importance to clinicians. 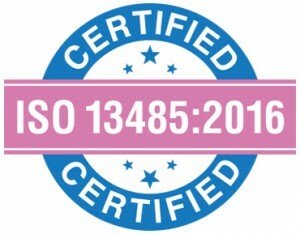 We comply to strict FDA and ISO standards. With such important patients to care for, we wouldn’t leave production to just anyone. Our U.S.-based vendors understand the importance of quality in our products and follow strict quality control protocols. We also carefully monitor quality control through every step of our process, ensuring the highest quality product possible. We will continue to strive to make the highest-quality neonatal and pediatric products on the market. At Neotech, we understand that neonatal and pediatric patients need products and devices designed especially for their needs. That’s why we’ve developed a series of products designed to be gentle on tender skin. Our NeoBond® Hydrocolloid Adhesive Strips are a smart alternative to acrylic tape and can sustain long-term attachment. Other products such as EZ-Hold®, NeoBridge® and Hold-A-Line™ use NeoBond adhesive to hold tubes in place while allowing for easy adjustments and better visibility. Our patented NeoFoam® featured in many of our products, including the EZCare™ Softouch and NeoShades® with Headstrap, is designed to be gentle on skin and reduce irritation that other products can cause. NeoFoam is so unique, you have to feel it to believe it. Whether you’re a clinician or a parent, you know that transitioning young patients out of the NICU isn’t always an easy process. We’ve designed Neotech’s products to support the transition to home care. Neotech Home Health can also assist in the process to help ease the burden for health care professionals, parents, and patient. For more than 30 years, Neotech has taken pride in bringing cutting-edge products to the medical field. We know that actively practicing professionals have some of the most innovative and useful product concepts. That’s why we regularly work with independent inventors to develop some of the most groundbreaking products in the neonatal and pediatric markets. Like many medical professionals, our medical director and co-founder, Dr. Arnold Heyman, developed several products during his years of practice. His personal experiences ranged from incredibly positive to extremely unfavorable. As a result, we strive to treat all inventors fairly. At Neotech, we assist inventors with product development, and we never charge you to work with us. You work directly with our Research and Development team to perfect your idea. We can even help to secure patents at no cost to you. We pride ourselves on building positive working relationships and paying royalties on time. If you work with Neotech, we’re confident you’ll take satisfaction in knowing that you’ve made a difference for clinicians and patients. Have a product idea you want to share with Neotech? Don’t hesitate to contact our R&D team. We’re not satisfied until your patients and their families are satisfied. Over the years, we’ve changed the lives of countless patients. One young patient, born with Trisomy, struggled to thrive in the NICU. Thanks to her mother’s research and advocacy, her care team invested in Neotech’s RAM Cannula which helped her transition to home care. Another infant, born at 26 weeks, spent most of her first weeks of life in the NICU. After receiving a tracheostomy at 4 months old, she now thrives thanks to skin-friendly products such as Neotech’s EZCare Softouch, which is designed to hold a trach tube comfortably in place and reduce redness caused by irritation. At Neotech, we’re proud to have developed a brand that’s essential in NICUs around the globe, and now extends outside the NICU into the PICU, Children’s Oncology, Home Health care and much more. We live out our mission to continue Making a Difference… In the NICU and Beyond. We understand that in today’s medical environment, influenced by value analysis and product approval committees, you may require more than one or two samples. Neotech will provide up to 30 days worth of most products for your unit to evaluate. Our trial program allows you to trial a Neotech product with support from our account representatives and clinical consultants to ensure that you have success with our product before purchasing. We can even provide in-servicing for select products. Please complete the form below if you would like to begin a 30 day trial.